FRISCO, TX. (July 27, 2017) – NT Logistics Specialized group is pleased to present a Carrier Appreciation Award to CPG Enterprises of Orlando, Florida. Serving 48 states, CPG specializes in transporting construction materials on flatbeds as well as refrigerated or dry food products. l customer service that we do at NT Logistics. 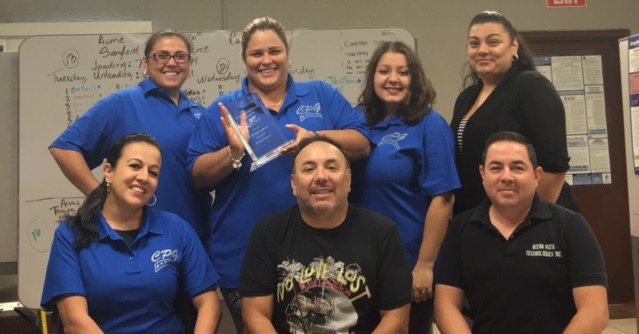 Members of the CPG team pictured: Herica Gandara, Accounting , Malena Perez, Operations Manager, Nicole Paez, Accounting, Claudia Toro, Dispatch, Sonia Bastidas, Accounting, Carlos Paez, CEO and Carlos Daniel, Dispatch. FRISCO, TX. (July 27, 2017) – NT Logistics is proud to honor Timco Trucking LLC of Royce City, Texas with a Carrier Appreciation Award. A valued partner within our Brokerage Division, Timco has provided exceptional service while going above and beyond when working with our dispatchers and customers. 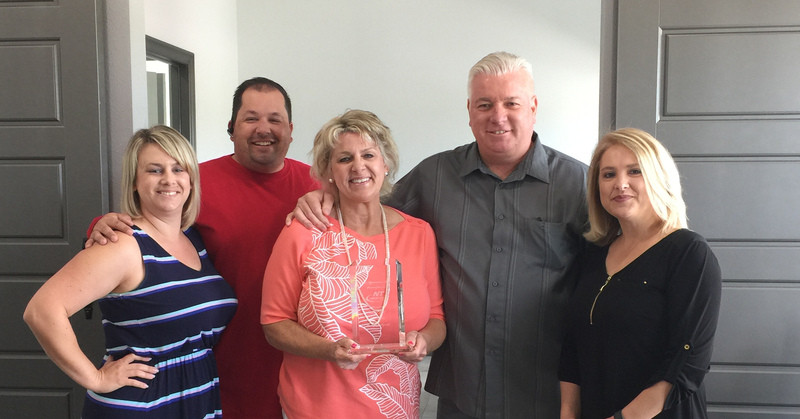 Pictured are Timco’s Tara Edwards, John Edwards, Glenda Nash and Tim Nash, along with Tedra Bilby of NT Logistics.